October 12, 2018 7:03 pm. Three-time winner Winx heads the 41 second declarations for the Cox Plate. Forty horses remain in the mix to take on Winx in her bid for an unprecedented fourth Cox Plate, including seven of the champion’s stablemates. Second acceptances for the Cox Plate at Moonee Valley closed on Tuesday with Winx headlining the 41 remaining entries for $5 million weight-for-age race on October 27. 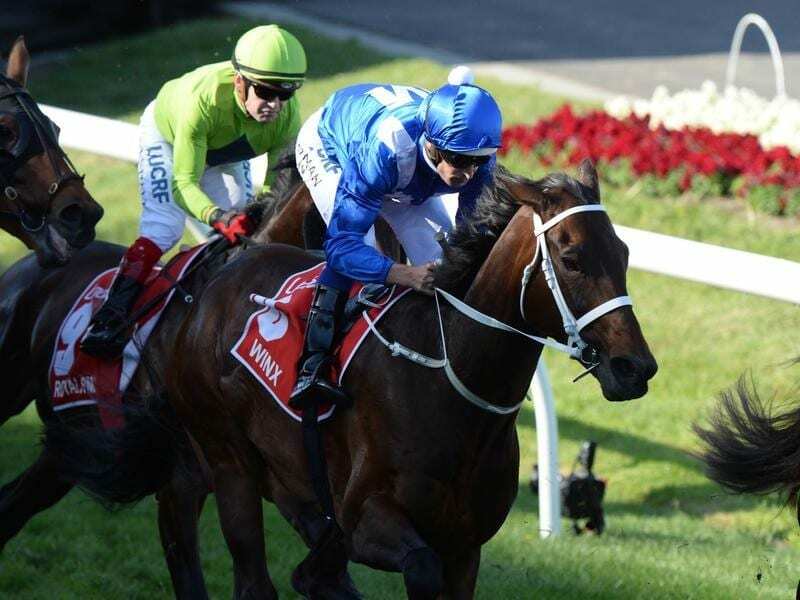 Winx has travelled from Sydney to Melbourne to settle in to trainer Chris Waller’s Flemington stable to continue her campaign towards the Cox Plate with Saturday week’s Group One Turnbull Stakes expected to be next start. “I am very pleased with the way she came through her last start and this was evident in a strong piece of work last Saturday at Rosehill,’ Waller said. Winx is the $1.30 favourite for the Cox Plate and the only runner under double figure odds. Waller also has Golden Rose-winning three-year-old The Autumn Sun among the Cox Plate second acceptors along with Comin’ Through, D’Argento, Egg Tart, Shillelagh, Tom Melbourne and Unforgotten. Five internationally trained horses remain in the mix including the Saeed Bin Suroor-trained Benbatl and fellow Godolphin-owned horses Blair House and Emotionless who are trained by Charlie Appleby. Aidan O’Brien, who trained Adelaide to win the 2014 Cox Plate, has Cliffs Of Moher and Rostropovich among the second acceptances. First acceptances for the Caulfield Cup were also taken on Tuesday with 83 horses still in contention for the $5 million 2400m-handicap on October 20, including 15 Waller-trained horses. Premier Victorian trainer Darren Weir has 12 entries including King’s Will Dream and Night’s Watch who have ballot exemptions, but Humidor was not paid up for the Caulfield Cup. Ten internationally trained horses are still among the Caulfield Cup entries.